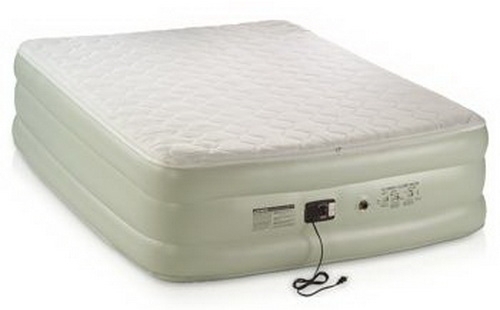 Sleep In Comfort And Convenience On The Coleman Double High Queen-Sized Pillowtop Airbed with Built-In Pump. This is for one Brand New Coleman Double High Inflatable Queen Airbed Mattress with Pad Topper & Pump. Measuring 78" long by 60" wide when inflated, the Airbed is raised to be as high as a standard mattress, so you won't feel like you're sleeping on the ground. 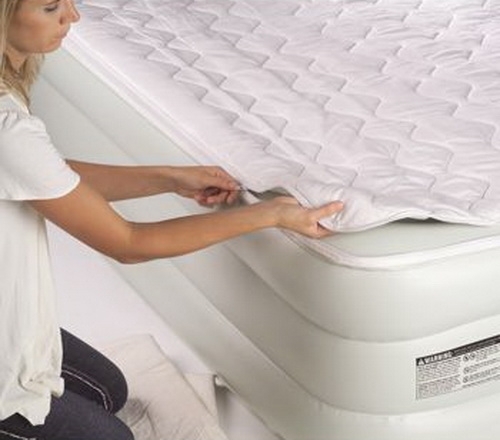 The Pillow-Top Airbed is topped with a fiber-filled quilted mattress pad, providing a soft, restful night's sleep. For convenience, the pillowtop pad zips off for machine washing. The Airbed easily inflates and deflates in seconds, thanks to the built-in electric pump. 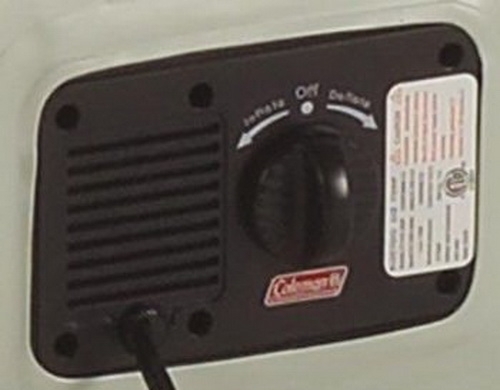 Like all Coleman inflatable products, the Airbed features Coleman's Airtight System, guaranteed not to leak, sealing with the Coleman Advanced Double Lock Valve to lock in air two ways. Includes a carry bag for easy packing. - Dimensions: 78" L x 60" W x 20" H; Weight 15 lbs.